This Gleaner report sheds light on crucial developments being planned for the local energy sector. The JPS will converting 292MW of its production capacity from Heavy Fuel Oil to Gas turbine plants. Jamalco will also implement a coal fired plant that will be more environmentally friendly than its present Oil fired plant. All these developments are of great importance to us Chemical Engineers. Members of the American Institute of Chemical Engineers take advantage of great benefits which include: Scholarships, Competitions, Student Conferences, Internships, Free Courses, Webinars, CEP Magazine and AIChE eLibrary access. Student Membership is now free for International Students! 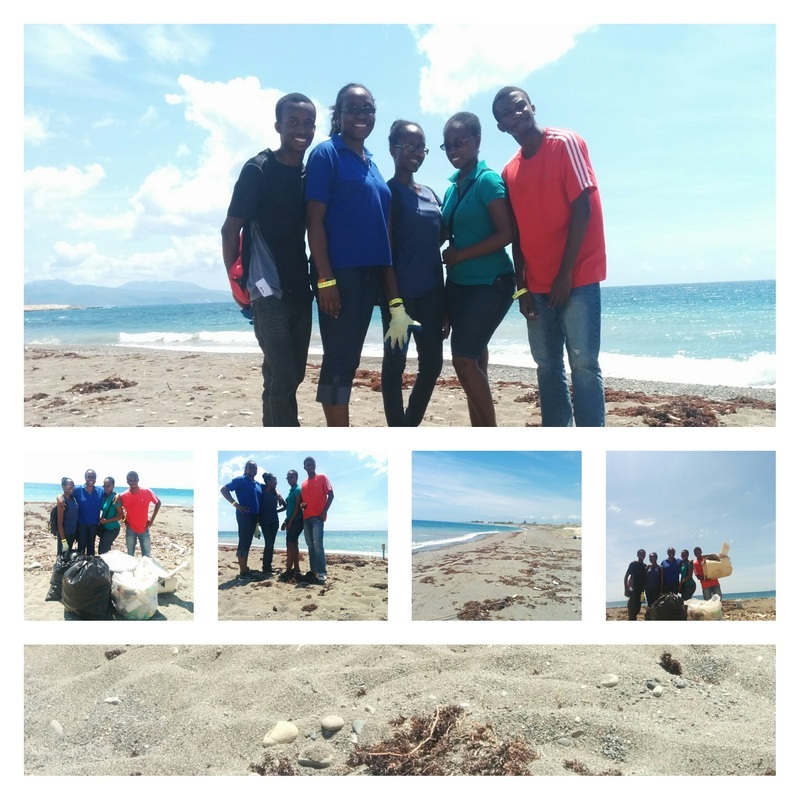 The AChemES team collected a total of 450 plastic bottles and over 30 pounds of other material from Fort Rocky! Scholarships have provided a pathway for many to further their studies and contribute to their countries while achieving personal goals. Ms. Plummer gave insight into the great experiences while studying in Europe as well as opportunities for young entrepreneurs in Jamaica. Links to the EURASMUS Scholarships are posted in the presentation. Many Thanks to Ms. Plummer! Jamalco is seeking Chemical Engineering graduates to fill vacant positions in the Process Control and Technical Departments. This is a great opportunity to work with one of Jamaica's largest Alumina exporter. Application deadline for both positions is September 19, 2014. Full details are contained in the files below.